Landscaping alternatives have become more cost-competitive with traditional sod, mulch and plants. For example, homeowners can have a waterless artificial lawn for as little as $3-6 per square foot for polyethylene-based grass blades. For areas of heavy foot traffic, it pays to invest in durable nylon products, which runs on average anywhere from $6-8 per square foot. 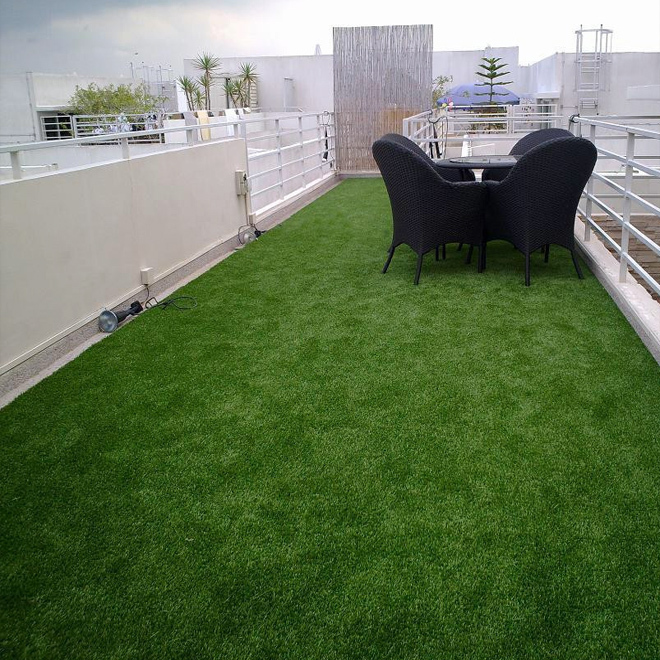 The main difference between polyethylene, polypropylene and nylon artificial grass fibers is the softness and resilient nature of the blades. Softer is better for kids and pets, but the thicker blends with shorter pile are better for sports applications or commercial locations with heavy foot traffic. Dog runs and pet areas – Dogs love to run and play, so have it installed for dog areas that often see run down grass and yellow or brown spots due to concentrated urine acidity. Kids spaces – Kids need safe playing surfaces with extra padding and for frequent tumbles. Artificial grass serves as a great buffer that won’t displace underneath playsets, trampolines and more. Putting greens – Create a stress-reducing zone in your backyard or indoors with a custom putting green installation made with high-quality artificial turf. Complex commercial and residential landscaping designs – When the curb appeal design calls for smaller patches of grass or integration of pavers and grass, artificial turf is easier to maintain and serves as a weed prevention barrier.